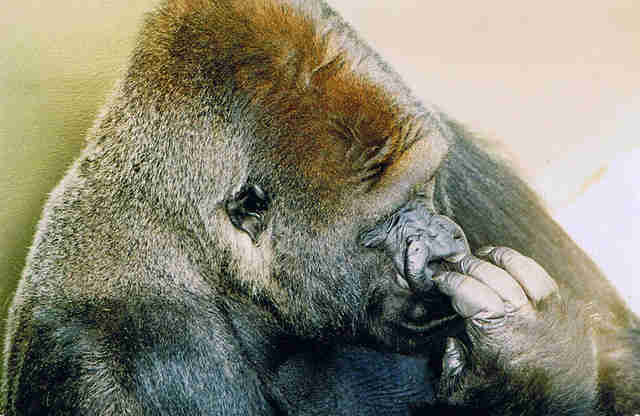 Thirty years ago, something happened that helped to change the public's perception of gorillas - an event that proved that they too have a heart. In 1986, while visiting the U.K.'s Jersey Zoo, a 5-year-old boy named Levan Merritt fell 12 feet down into the facility's gorilla enclosure and was knocked unconscious with a fractured skull. The crowd meanwhile was helpless as gorillas began to approach the child, fearing what further damage they might do to him. 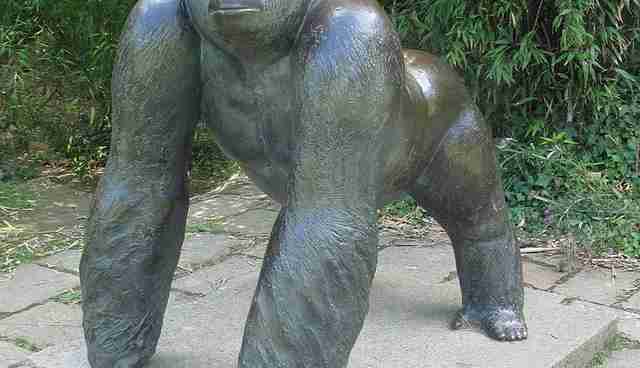 Little did they know that Levan would have a protector: a silverback named Jambo. "People watched in horror as Nandi a female gorilla and offspring moved towards Levan," recalls Brian Le Lion, who filmed the dramatic incident. "Jambo closely followed. As Nandi approached Levan Jambo took charge and placed himself between them as if to say "Don't touch!'" As seen in the clip above, Merritt was rescued safely, but the footage showing Jambo's gentle behavior quickly spread, as did a new way of thinking about his kind. "Little was I to know how the video I took would change the public's perception of the species dispelling the 'King Kong' theory," Le Lion would later write. In the years that followed, Jambo was honored with memorials commemorating his actions depicted in that grainy footage - leaving behind a legacy that has long surpassed his death in 1992. But there's still one person for whom the animal's kind gesture will always be more than a concept. The Mail Online recently caught up with Levan Merritt, now a father himself, whose life in some ways could be owed to the gentle heart of a gorilla. That, he says, is something he'll never forget. "I am forever thankful to Jambo as obviously it could have gone one or two ways," Merritt said. "It was amazing how he protected me in that way."